Kora is a toy from the Lightseekers interactive universe consisting of a combative card game, an app game and toys. 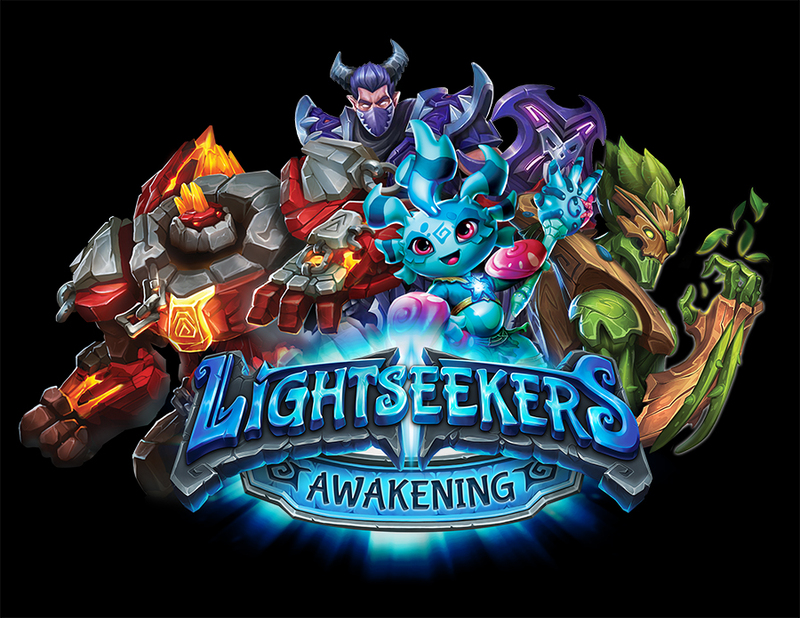 They overlap in certain ways and enhance your overall experience of Lightseekers. Let’s look at the toy package on its own. It is well made and beautifully painted. It is not small or light. It is made from a solid plastic. Kora’s limbs are poseable with small clicks as you move them. This means they will not drop over time. Her head rotates, but smoothly. You can stand her up and she will not fall over. She makes a pretty ornament for your gaming shelf. You can plug in a backpack that powers the toy (included). It is charged through a small USB socket (not included in the pack). My phone charger worked. No swapping batteries in and out. A flight pack can be plugged in at a later stage that allows you to use the toy as a flight controller. The Aquadart crab weapon that comes in the box can be plugged into either hand. 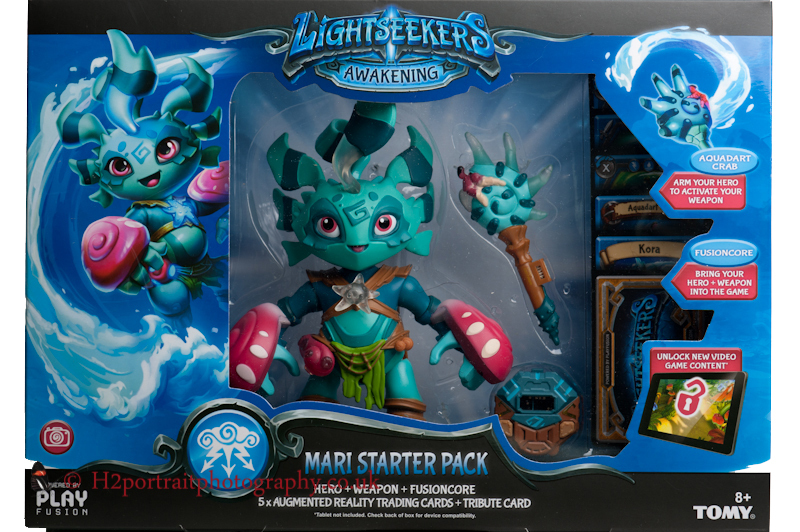 Kora the Mari Lightseekers toy. When you power-up Kora, she says, “I’m ready to go, go, go!”. Her top fin, the crab weapon, the starfish emblem on her chest and part of her belt light up. They pulse and change colour too. If you press the buttons on the backpacks she will speak, the weapon will make firing noises whilst vibrating and the lights will pulse. She will also respond to how she is being handled. I knocked her over and she piped up, “Hey, careful!”. That was funny and unexpected the first time it happened. Kora comes with five exclusive cards for the card game and tribute card. They can all be scanned into the app. The former can be used to customise your Storm deck. We were not sent the Storm starter deck so the cards were scanned into the app and put away for another day. I would love to enhance the starter deck with these cards. I have never played with an ‘item’ card (the Aquadart crab) before. 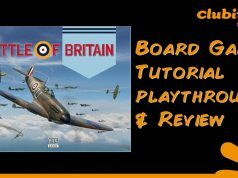 Please do read my review of the card game. It is fun to play, easy to learn, has some neat mechanisms and worth checking out. The tribute card can also be scanned into the app to give you bonuses. Other people can scan it in too. When you scan the exclusive cards into the app, they allow you to play the respective combos. The Aquadart crab card increases the firepower of the weapon in the app by three. 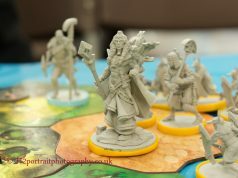 The app is the centrepiece of the Lightseekers universe (check-out the review). You can scan cards with the app and you can see them come to life. You can even scan the front of the display box and Kora jumps out of a portal. It is like she is jumping out of the box. 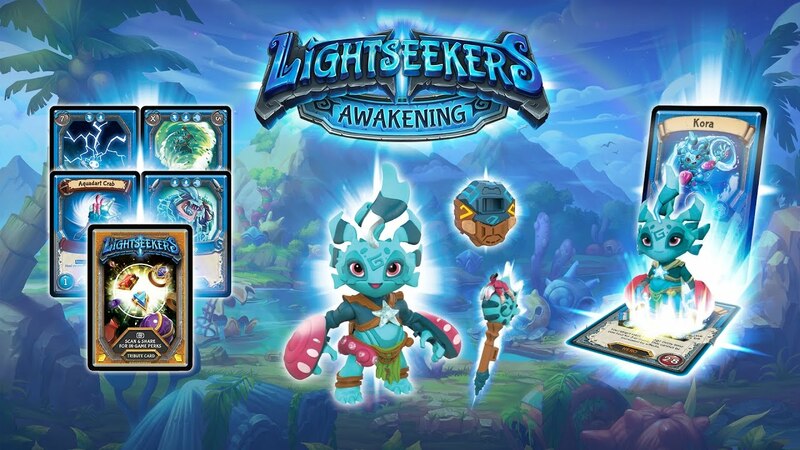 Through the app, you can explore Tantos, the world of Lightseekers. Kora will let you know what she thinks about each location. When you access the app you will need to turn on Bluetooth and Kora. There is a short process to connect the two and you are off. If the Aquadart crab weapon is attached it will be picked up too. As you venture around the world, Kora will interact with you with warnings about enemies and where you are amongst other things. She very enthusiastic and will also help you solve puzzles. You have to note the colours she is displaying and put that sequence into the app to solve it. She lights up green to show you have made the correct choice. There was one part that was a mystery to me when I first played. With Kora it now makes sense. When you beat a boss monster she exclaims, “Who’s the boss now!”. As she takes damage the starfish on her chest changes colour too. If her health drops below a certain level she exclaims, “Right between the fins!”, “Low health” or “Don’t just sit there, help me!”. She even shouts, “Heal me!” just in case you are not watching the health level. She lets you know when a combo is ready and then vibrates when you active it. You can also use the Aquadart crab weapon in the game. It charges up and then you can wield it in combat. It levels up too. The toy also gives you access to locked areas of the map. You will still need other toy weapons, the flight pack and other figures to open up every feature of the game. Some of the character’s special powers only work if the appropriate add-on is attached to the toy. The flight pack will open up the most doors. At least one-quarter of the first map is inaccessible without one. A number of key monsters are in those areas. There are small regions on the third and forth. The app game makes more sense now the second time around (I removed it from my phone because I was not playing it anymore). I had to start from scratch and I could not scan in my cards because they were claimed by my previous installation. Kora’s commentary and comments help from time-to-time. You can turn down her volume using a slider in the settings panel of the app. Scanning in her combo cards into the app has made the character far more thematic. This is something I really like. Previously, most of my combos were Tech or Nature because those were the decks that were sent for review. It was a minor niggle. As a board gamer, the theme is very important to me. I tend to like games with a strong story to them. I do like the way the toy and the app integrate. The connection did drop on a few occasions. A quick reboot of Kora corrected that. Would you like to take the toy with you if you were playing the game on a train? Could you justify buying it in the first place? If you bought it for a child, maybe. You would need to retrieve it at various points to access features within the game. However, as mentioned, it would make a nice addition to your board gaming shelf (if you have one). I cannot comment on whether it is worth buying the toy just for the cards as I do not have a Storm deck. 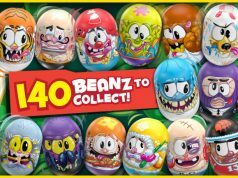 I suspect they would make a good addition and give you more customisation options. I can imagine a number of people would buy Kora just because they like the look of her. One of my friends described her as, “Cute.”. 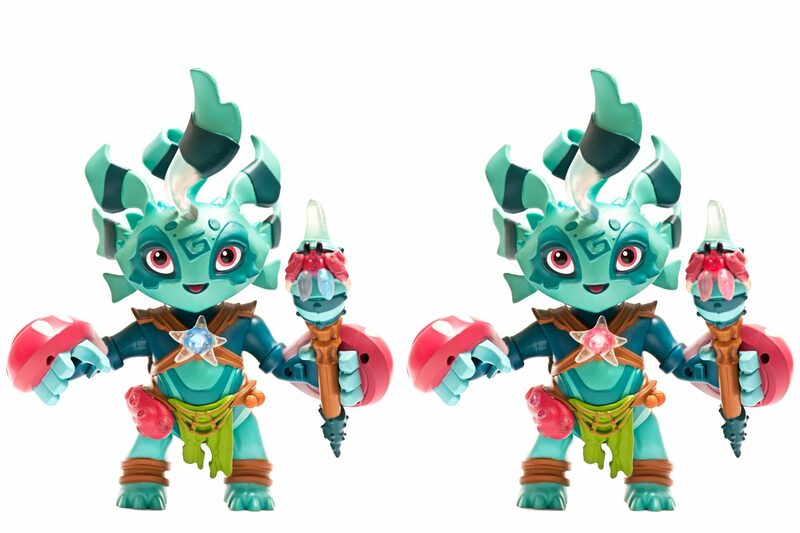 All-in-all, Kora is a solid toy that integrates seamlessly into the Lightseekers universe. More than that, it opens up another interactive dimension to the whole experience. She does add more depth to the app gaming experience. The only bits missing for me now are customising my decks and seeing how the other four factions play. Kora receives a huge endorsement from me. Just one huge request. I have just been playing on the Lightseekers app with Kora. Being kicked-off the server is nothing new with app games. It happens. What is annoying is working your way through a dungeon in Lightseekers and being kicked-off! There is nothing that saves your progress as you defeat each boss. There must be a way to mitigate this? I was halfway through the final boss fight and the connection was dropped! I shouted in frustration and could have flung my phone across the room except it was not its fault (and I like my phone!) Play Fusion, please, please, please sort this out. Many thanks to Play Fusion for sending us this product to review.